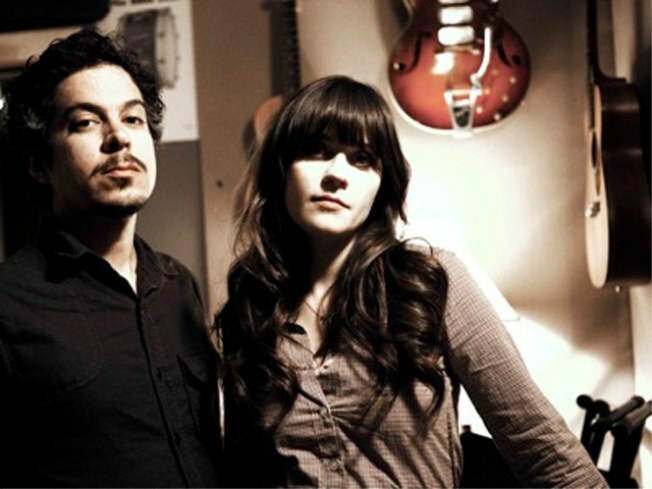 M. Ward and Zooey Deschanel, a.k.a. She & Him, play two NYC shows in March. On March 23, unlikely (yet perfectly-paired) duo M. Ward and Zooey Deschanel will release “Volume Two,” the highly-anticipated follow-up to their “Volume One” debut which reminded us how much we miss simple vocal harmonies layered over spare arrangements, and officially cemented Deschanel’s reputation as the Swiss army knife of indie chicks: She can do absolutely everything, effortlessly, and maintain perfect hair the whole time. We want to play dolls with her. Tickets to She & Him’s Bowery Ballroom shows on March 29 and 30 are on AmEx presale now but drop to the general public at noon today. Head here to get tickets quick-quick – they’re guaranteed to sell out fast. Also, head over to Pitchfork, where they’re offering up a download from the new disc called “In the Sun.” It totally makes us want to be having a picnic in a field on a summer’s day -- the perfect antidote to this dreary January weather.